Over the past few months, we spoke with several educators and experts in K–12 education to learn how gaming—a technology that can often seem more isolating than interactive—could actually boost social and emotional outcomes for students as young as those in kindergarten. As part of a research project focused on Minecraft, we found that regardless of the subject matter being taught, the game provides an opportunity for students to hone skills such as problem-solving, critical thinking, communication, collaboration, negotiation, delegation and even empathy. Accordingly, teachers serve as guides, coaches and facilitators, encouraging independence and student agency. Dr. Michelle Zimmerman is Executive Director of Renton Prep Christian School, a Microsoft Showcase School in Seattle, Washington. Zimmerman earned a PhD in Learning Sciences and Human Development from the University of Washington’s College of Education, and has conducted extensive research in the area of gaming. In a 1:1 device environment, gaming can still be a very collaborative and interactive experience. Cultivating empathy through gaming isn’t a given; rather, it occurs as part of a guided experience. Technology doesn’t impede our ability to build relationships; conversely, with regard to gaming in the classroom, it can serve to further bolster them. Rody Boonchouy is Senior Director of Innovation and Strategic Partnerships at the Buck Institute for Education. 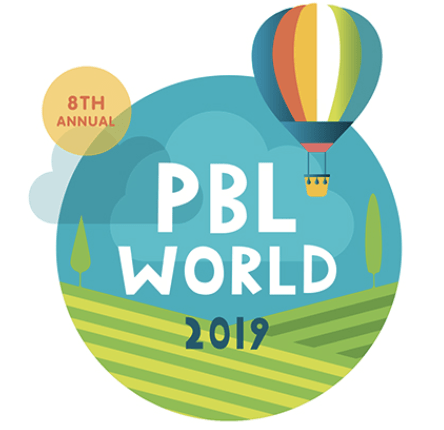 An expert on Project-Based Learning (PBL), he recognizes that the principles and underlying values of PBL and game-based learning are very similar. Both offer a way to engage learners of all ages in working toward clear and relevant objectives, weaving in conquerable obstacles and formative feedback in the process. Games, in fact, are often used as a supplement to PBL experiences, providing a digital and visual vehicle for reflection on learning. Boonchouy sees an obvious intersection between SEL and the use of video games—specifically, Minecraft—in the classroom. While Boonchouy works with the K–12 set, he also has a unique window into the world of Minecraft and its educational benefits: his children, ages nine and six. One of PBL’s essential elements—the notion of ownership—arises in Minecraft as well. Jeff Gearhart has seen firsthand in his classroom how engaging the use of Minecraft can be for students. A technology instructor in a small, high-poverty school district, Gearhart acknowledges that his students—part of a total school population of 60—are in an unusual situation in American K–12 education. They live in an area on Washington State’s Olympic Peninsula that’s ridden with high unemployment due to shifts away from industries like forestry and construction. Nearly all students qualify to receive free or reduced lunch, and Brinnon School District relies solely upon external funding through grants and donations for its technology resources and training. In his three daily classes, Gearhart instructs mixed-level groups of kindergarteners and first and second graders; third, fourth and fifth graders; and sixth, seventh and eighth graders. In his lessons, he grapples with significant developmental differences, in addition to the fact that each student has a unique learning style and challenges. Gearhart cited the game’s versatility as a means of encouraging collaboration regardless of grade level. Gearhart has witnessed a change in his students, a level of emotional maturity that has spurred academic growth and a sense of agency among students who, at the beginning of the year, would have asked questions. Now they take initiative and forge ahead, even designing their own lessons within Minecraft and associated assessment measures. These observations make a powerful argument for the ways in which gaming—and, more specifically, Minecraft—creates opportunities for transformational learning experiences. Stay tuned later this week for a full research report on Minecraft and SEL from the Getting Smart team. This blog is part of a research project made possible with support from Microsoft. The statements made and views expressed are solely the responsibility of Getting Smart and interviewees.